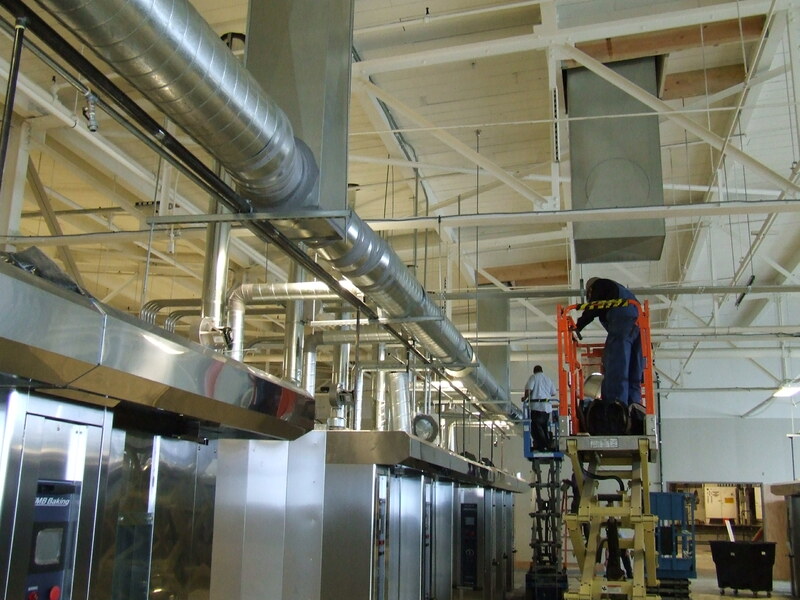 Packaged and split-system heating and air conditioning units to 25 tons cooling, 40,000 cfm, 2,000,000 btu heating. Complete systems for new construction and retrofit. Low and medium pressure exhaust and supply air systems. Zoning, filtration, controls.Large inventory of light gauge pipe, fittings, flue material, registers, tops, louvers, dampers, flashing’s, thermostats available on over-the-counter basis. Service work on fans, furnaces and air conditioners to 25 tons.